True Identity Concepts: Bathroom Materials - Where Do You Begin? Bathroom Materials - Where Do You Begin? The decision is made and it's time to renovate that outdated bathroom, which is in need of desperate repair. Given the size of the space, how hard could it be? Really, all that's needed is a vanity, tub and/or shower fixtures, a toilet, and some pretty tile to create a tranquil space. Or, so it seems until the process begins. 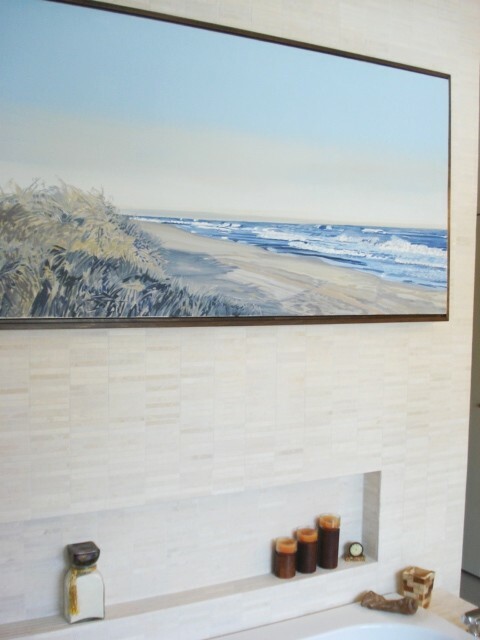 Gaining inspiration through a bit of research on the Houzz, Pinterest, or television programs and magazines builds the excitement of having a new bathroom with all of its glorious materials and functional features. Keep collecting and don't worry about how to make it will work in the space - we'll work with that in the steps to come. 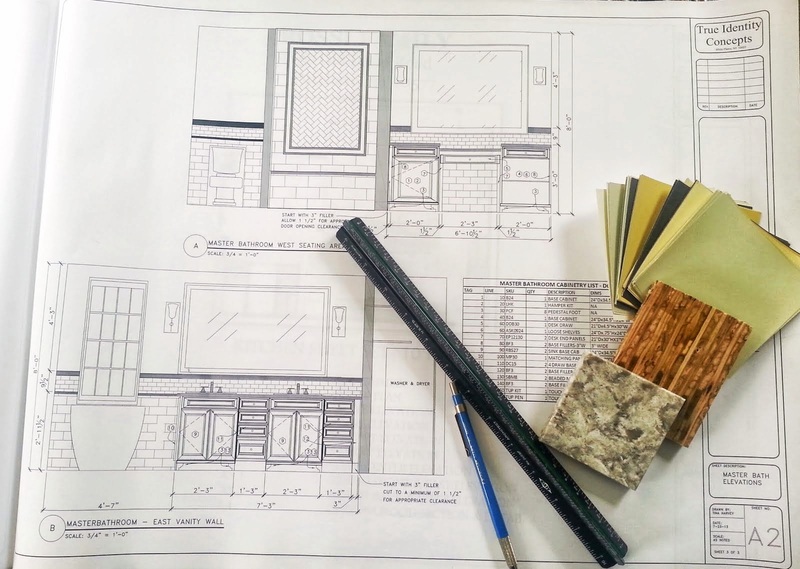 As the exhilaration continues, talking to your professional of choice (i.e., Interior Designer, Kitchen & Bath Designer, Contractor, or Architect) will guide you in answering the questions that will surely arise: What's the plan? What size(s) do you need? How much tile is required? But, I digress...a good plan is the next step. If you haven't taken the time to come up with a dream list prior to the layout, then do so now. Consider who will be using the space and how you need to function in the space. For example: Do you have kids that will need a bath? Are there two people using the space? How is the storage and what type do you need? All of the answers will help you and your design professional prioritize what is important in your new space. Again, do not try to figure how it will work - just make a list. Once the bathroom design layout is complete and all of your "must haves" are integrated, it's off to the next step. Did you know that there are nearly 40-50 material pieces that go into an average bath renovation? My experience has taught me that once a plan is in place, the next step is to choose the cabinetry or vanities. Whether it is a kitchen or a bathroom, these pieces typically have the longest lead time (i.e., 4-6, 8-10, or even 12-14 weeks), and once determined serve as the inspiration for the remaining space. 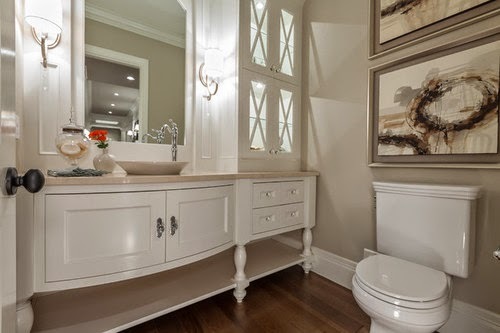 Choose the base - a vanity, a pedestal, or a wall mounted vanity. 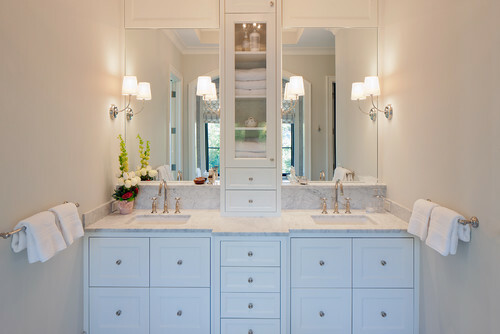 Your floor plan will determine the size of the vanity. From there, think about the cabinet storage needed, if it requires one or two sinks, and the style that is most appealing (e.g., door type, its construction, and its color). If you have ever worked on a puzzle, the first piece is the starting point (i.e., vanity). In choosing the next piece, there is no right or wrong choice. They simple build upon the next to form the overall picture. 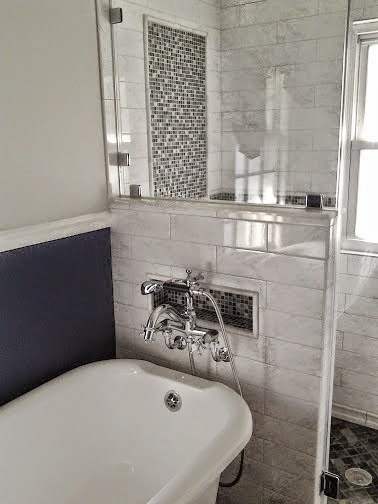 An example by True Identity Concepts of connecting a selected accent tile for the remaining elements within a space. 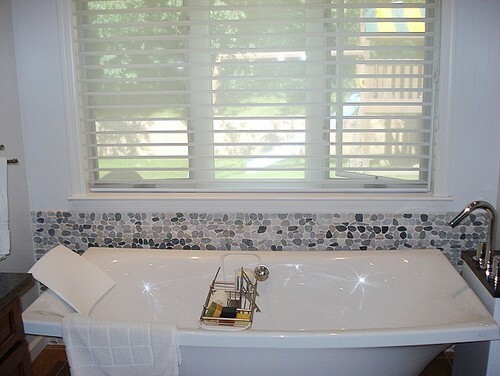 Choose your plumbing fixture arrangements and style for your tub, shower, or tub/shower combo and connecting sink area that will house these items. Do you want a separate shower head and handheld or combined unit? Do you want body sprays or a second rain shower feature? How do you want them to function? Do you want a separate volume control for each or do you simply need a diverter for your tub spout and shower head? Do you want a widespread faucet, single handle faucet, or wall mounted? Will the sink be undermounted, a vessel, drop-in? What size do you need and what color? What style do I like? Traditional, modern, or transitional (combination of both)? Then carry that element to connect all of the plumbing required in the space. Let the tile selections begin! Although I often start with the floor tile, an accent tile may be calling your name and that could be the inspiration for the overall space. Remember the puzzle? It has three sides to fit into the next piece. Pick a side and keep bringing the picture into focus. There are many tile/countertop areas, designs, and materials to consider. If you have diligently gone through points 1 & 2, then your design professional (hired or at a showroom) will help you through this process. But, you must have some inspiration photos, a piece of tile, or a material or color that you prefer. If you have that in place, then let the game begin! Floor tile: Will you be using a porcelain, stone, or wood material? 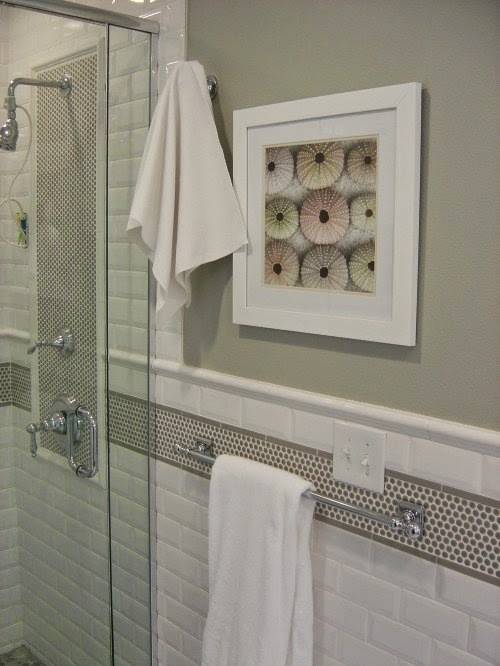 Do you like a small mosaic pattern or do you prefer a larger tile? Will there be a floor design? Do you want heated floors? How resilient do the floors need to be (children, pets, significant others)? 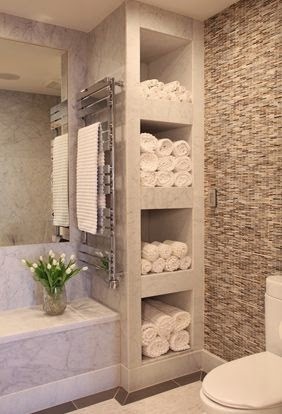 Wall tile: Do you want a feature wall behind the vanity? A wainscoting on the walls and how will it be finished (chair rail, pencil, or baseboard)? Shower and/or tub tile: How will you finish the curb? Is it a custom shower pan or acrylic? 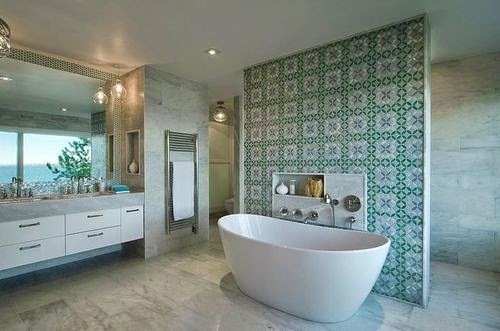 Is the tile going up to the ceiling or just above the shower head? What design patterns do you want on the wall? What type of tile will you be using to connect the floor tile? How will the location of the plumbing impact the accent? How will the tile end where the glass begins (bullnose)? Will you be using a baseboard, pencil, or crown molding detail? Will there be a built-in niche or a surface mounted soap and shampoo holder? Countertop: Will it be tile, a ceramic sink top, stone (marble or granite), quartz, or a custom material? Do you worry about staining or aesthetics? What color will work with the tile selections? What's left? Paint and accessories are the remaining areas to consider. A seemingly insignificant aspect of your bathroom design, but a few well placed jewelry pieces will make a difference to your outfit - wouldn't you agree? Do you want a towel warmer? Do you need extra storage with a few well placed medicine cabinets? Or, will a mirror do? How many towels bars are needed (e.g. near the tub, sink, or shower). What sizes do they need to be? What type of toilet? A one piece, two piece, or wall hung. What is the water consumption and will it have a dual flush? Is it skirted for ease of cleaning? 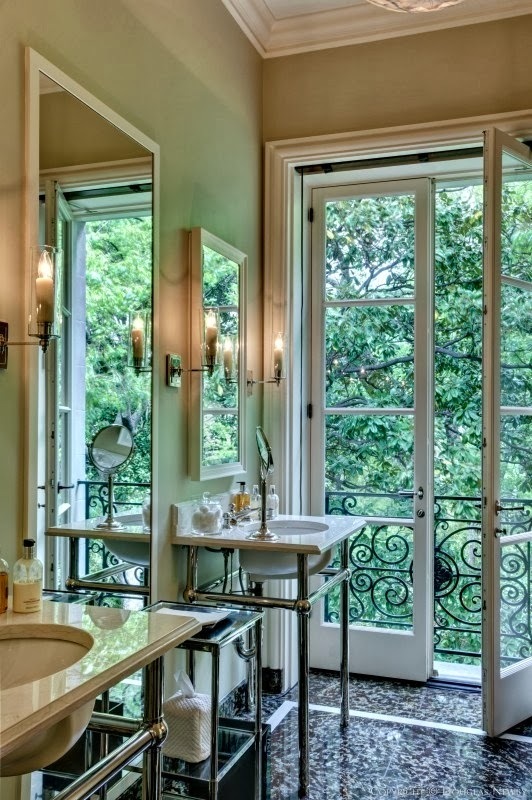 Does the metal handle match the material and the style of the plumbing fixtures? Do you need robe hooks? Look at the style and metal color. Do you need hand held towel bars? What about lighting? Is it up, down, or does it require both? Is it UL listed and what is the wattage? Are there recessed lights in the shower/tub area and remaining space? How will they be placed and what is the size (4, 5, or 6 inches)? How will the switches work? Will they be on dimmers? What type of exhaust fan will be used? Are there any additional shelves for the space? What type of window treatments are needed? Do you need privacy glass, fabric or wood blinds, a textile for window treatments? And, please, set a bit of money aside for lighting. What good is the space if you can't see what you are doing! Keep your tasks in mind. At last, the final piece of the puzzle is getting connected to complete the picture - the paint! Considering your home, your selected materials, and a bit of color psychology, so that this can be the last choice in materials...before you start construction, please! Be sure to ask your contractor, designer, or local paint store for the right kind of paint for your bathroom application. And, if I may go a step further, ask for a low or no VOC to maintain good air quality within your home. 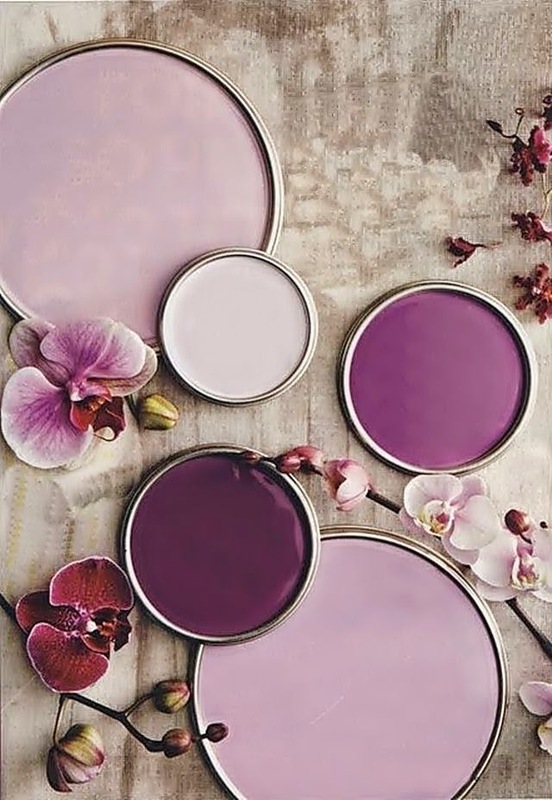 Benjamin Moore is my paint of choice in general and their Aura Bath and Spa in an eggshell or satin finish, specifically designed for wet and humid spaces. Full or half walls: Will there be only one color in the space? Is there a two-tone wall? Is there an accent wall? How will it coordinate and/or contrast with the tiles? What sheen will you be using? Is there any connecting spaces to coordinate the color? Accent Areas: Is there any wood trim in the space (e.g. doors, baseboard, crown molding)? Is there existing molding that should coordinate? 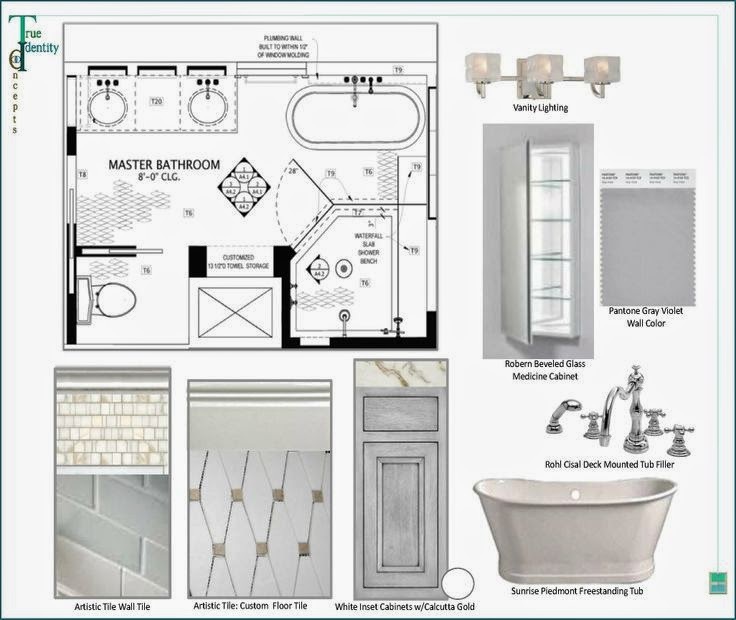 Once all of your selections are made - whether through your design professional, an on-line inspiration board, or even with those samples - that beautiful new bathroom puzzle will be picture perfect! Now... order your product and be well prepared for the next step - construction. Good luck and be sure to enjoy the process while you build your new space! When you are ready for design assistance for your bathroom project, be sure to give me a call and we'll plan and design your space together. Collaboratively "Creating Interior Designs That Capture Your True Identity!" Labels: Bathroom, Bathroom Organization, Hiring An Interior Designer, Home Remodeling, Home Renovation, Selecting Bathroom Materials, Where do I begin?